SHARONVILLE, Ohio — Ohio Gov. John Kasich railed against his GOP rival Donald Trump on Saturday, accusing him of creating a "toxic environment" at his rallies. Kasich's comments come a day after Trump's rally in Chicago, where violence broke out amid protester scuffles and arrests. The governor seemed to back away from pledging support for the real estate mogul if he becomes the Republican Party nominee. When NBC News asked Kasich — as governor of Ohio — whether families in the state should feel safe bringing their children to Trump’s rallies here, Kasich said he wouldn’t allow his own daughters to attend. 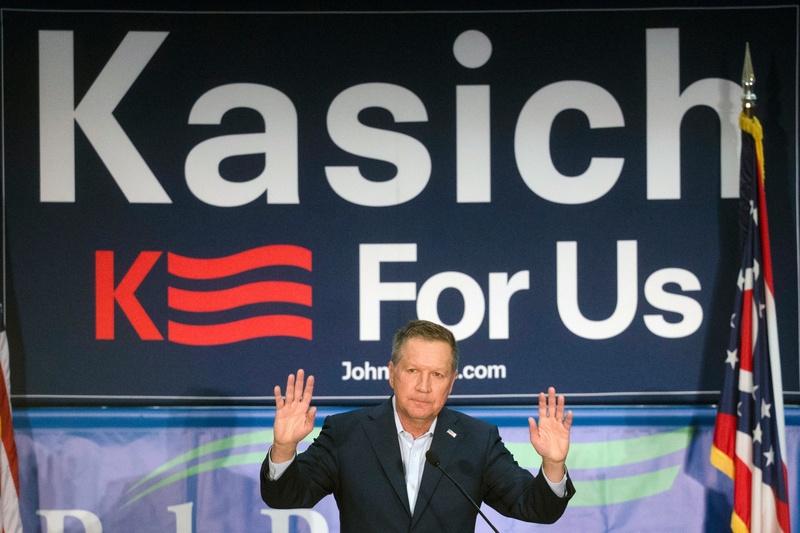 "I guess they gotta use their judgment," Kasich said. "I mean, would I take my kids to that rally? No I wouldn’t. What would I do that for? It’s too crazy." Kasich was asked directly about whether he would still support Trump if he becomes the presumptive nominee as he indicated he would at the recent GOP debate in Detroit. 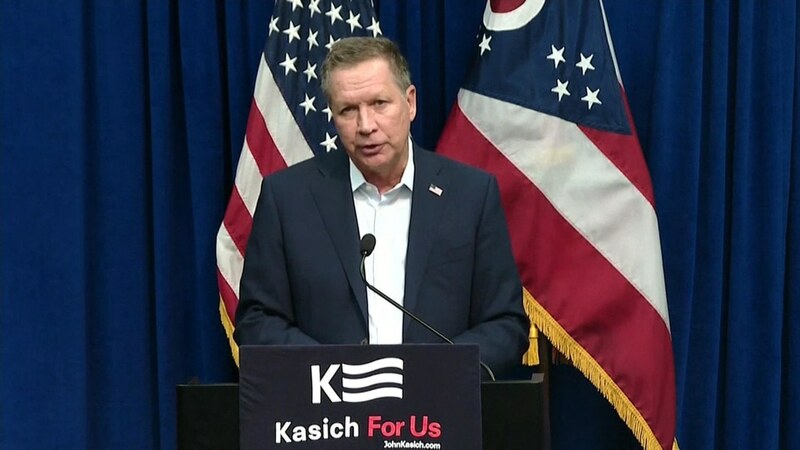 "Makes it very, extremely difficult," Kasich said. 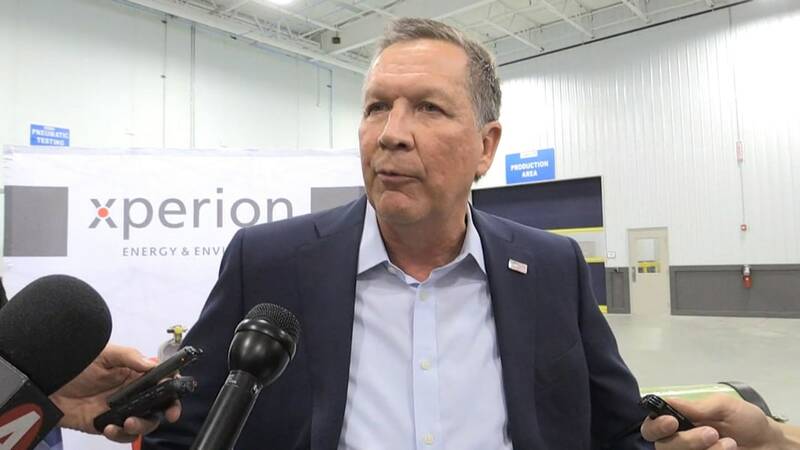 And when pressed whether the "toxic atmosphere" he says is fostered by Trump disqualifies him from the presidency, Kasich added: "He's getting close to it. I will tell you — he's getting close to it." Over the last few months, Kasich would rarely speak negatively of Trump or any of the other candidates, even when consistently prodded. But he noted that he was one of the first candidates to take on Trump in October when he tore into him at a rally in Columbus and in the subsequent debate. That strategy, however, was short-lived, and he quickly returned to resisting direct attacks on the other candidates — Trump included. Kasich told reporters Saturday that he was "shocked" and "deeply disturbed" by images he watched on television Friday night of the fallout from Trump canceling an event in Chicago. 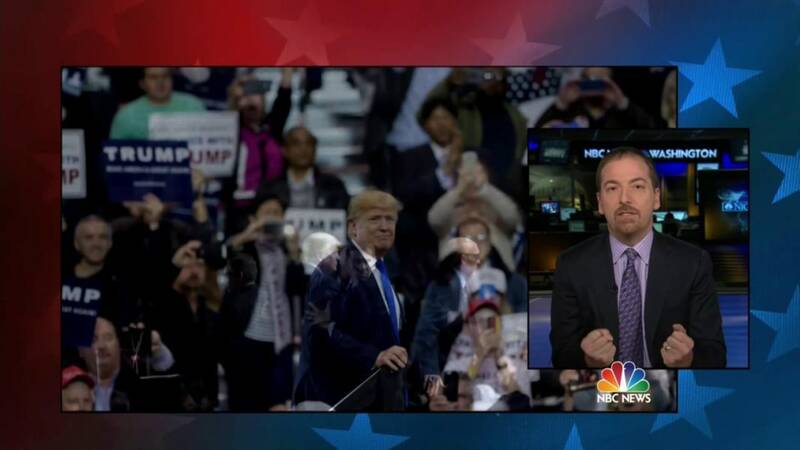 "To see Americans slugging themselves at a political rally deeply disturbed me," he said. "We are better than that. We are a nation that overcomes obstacles and challenges." Kasich made the comments before speaking at the Northeast Hamilton County Republican Club Pancake Breakfast outside Cincinnati — just as Trump was down the road preparing for a rally in Dayton. That rally escalated when a man rushed toward the stage, causing Secret Service agents swiftly swarm around Trump to protect him. The man was escorted away and charged with disorderly conduct and inducing panic. On Friday night, before the situation in Chicago escalated and dominated national headlines, Kasich was asked about violence at Trump events and told reporters that he didn’t want to see physical force at any rally. He maintained Saturday that he didn’t speak out more forcefully sooner because he did not have "all the facts" about what was going on and has tried to stay above the fray. "I just believe the negative attacks and the rhetoric — and that includes what we've been seeing the last few weeks, or the last few debates, the name calling — I've stayed positive through this and frankly there are times when I want to stay out of it, because I don't want to lower the bar," Kasich said. The governor has taken credit for the more civil discourse in the most recent debate in Miami, quipping that his positive demeanor was "contagious" to the other candidates, and speaking to reporters Saturday morning, he continued his harsh critiques of campaign media coverage. 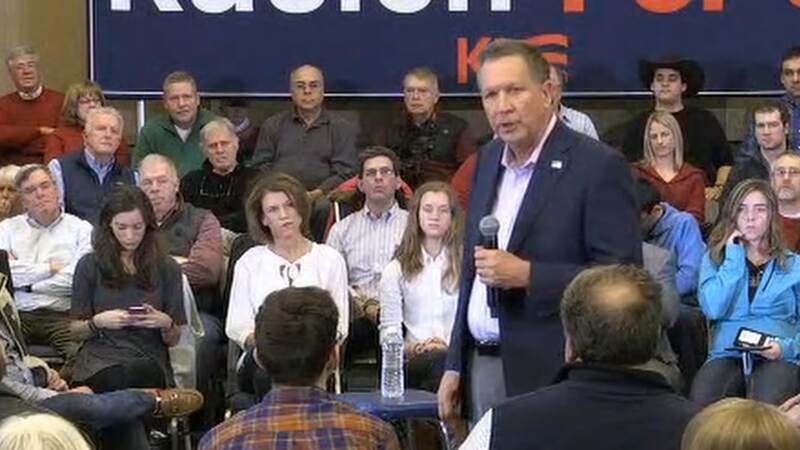 "I'm pleased to see the other candidates in the last debate began to realize that name calling, that lowering the bar on American politics is not acceptable,” Kasich said. "I believe they have learned, at least in the last debate that ideas matter, that vision matters. That policies matter — and giving people hope matters." 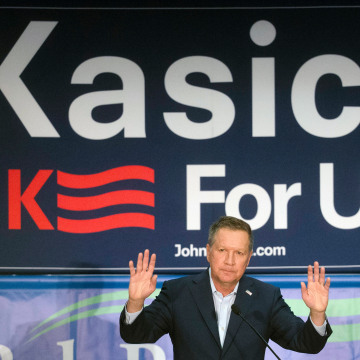 "I refuse to do it this entire campaign," Kasich continued. "Even if it meant that I would be ignored, even if it meant that I would lose."